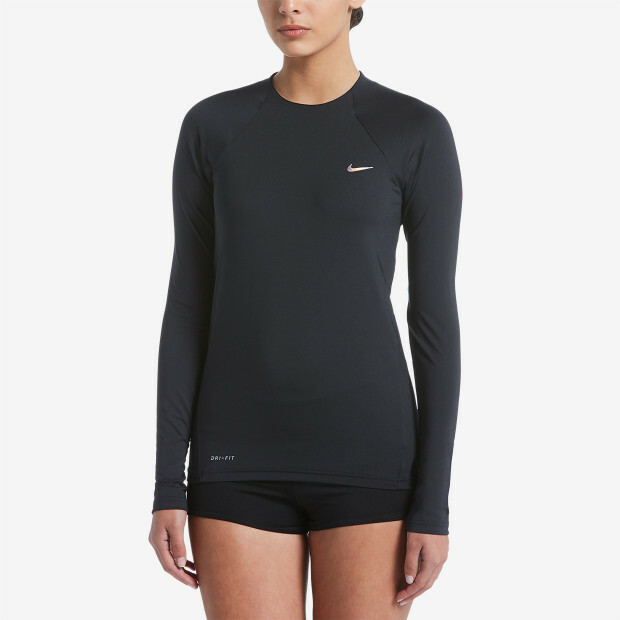 Nike Swim Women's Solid Long Sleeve Hydroguard provides full upper body UPF 40+ protection from the sun's rays. Dri-FIT technology wicks moisture away for quick-drying outside the pool or ocean. Flat seams provide a chafe-free finish for total comfort.